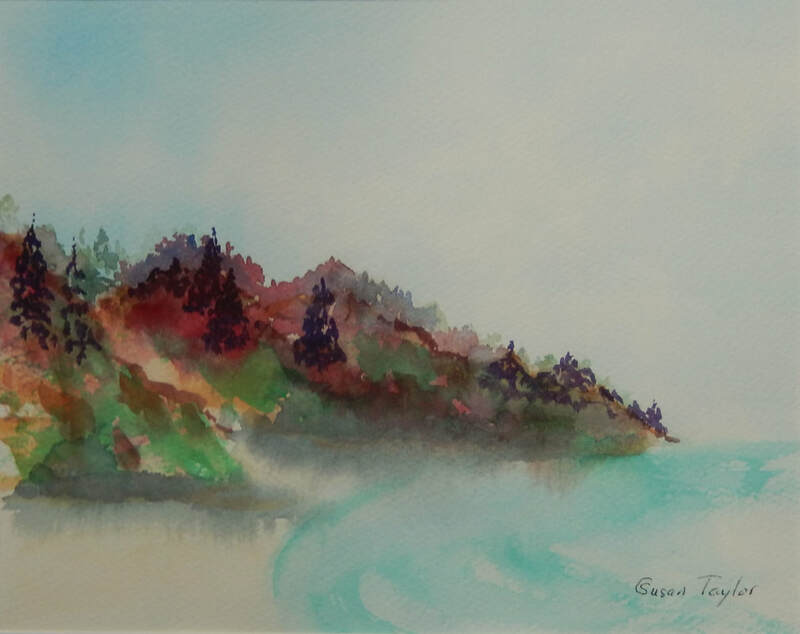 Hi, I am Susan Taylor, a self-taught artist. I have lived in the beautiful Kaipara district for the past 30 years. I love to paint my impressions of what is around me, from the picturesque East Coast to the wild romantic West Coast. My paintings have been purchased and are held in private collections in New Zealand and overseas. I started painting 6 years ago, initially in acrylics and now I have discovered watercolours. With the encouragement of the Dargaville Art Association and Mangawhai Artists, I have to continued to learn and expand my knowledge. I enjoy exhibiting at Muddy Waters Gallery, Dargaville and White Rock Gallery, Matakohe Kauri Museum, also taking part in the Mangawhai Artists art trails and exhibitions. I am with a group of keen artists who set up White Rock Gallery in Paparoa, four years ago. White Rock Gallery has now moved into a lovely space beside the Matakohe Kauri Museum and going from strength to strength. 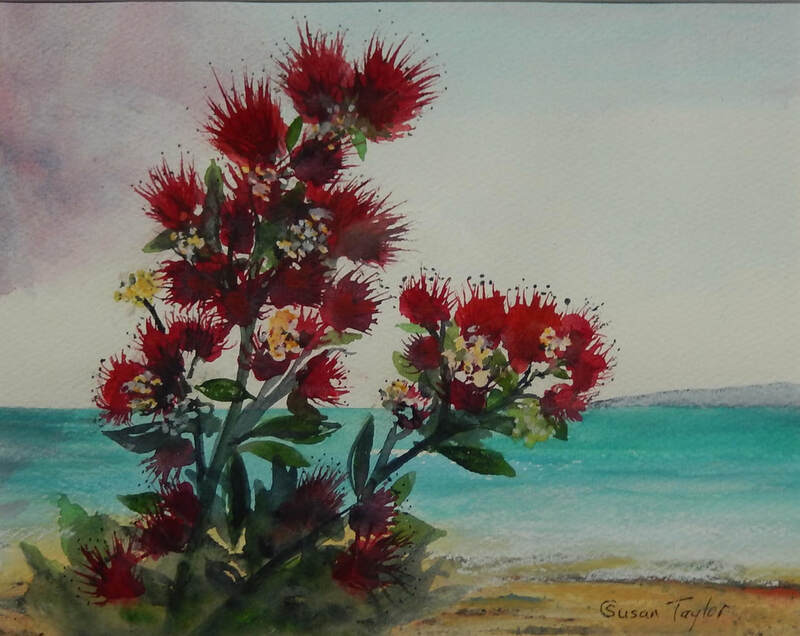 I also exhibit in the Kaipara Art Awards, Hibiscus Hospice Art Sale, One Tree Point Art Exhibition and Snells Beach Art Competition. Studio: Hidden Cottage Art Studio, Paparoa, 53 Paparoa Station Road, RD 1 Paparoa. By appointment only.